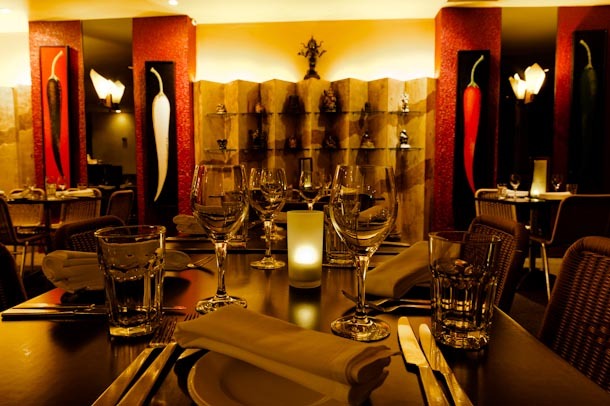 Nilgiri’s restaurant, located in the CREMORNE, takes you on a tour of ethnic Indian cuisine. An open kitchen in a modern restaurant setting is the showcase for Ajoy’s culinary talents and skills. A café-style ambience at lunch and a more formal set-up at dinner create a quality dining experience, unlike any before. But nilgiri’s isn’t just an award-winning restaurant….visit nilgiri’s website to learn more! Chef's Table is a unique dining experience as Ajoy personally cooks an 8 to 10 course degustation menu in front of your party: "it's like watching a piece of theatre only better as you eat it!". This is ideal for a special family event such as a golden wedding anniversary, as Ajoy can cook for up to 30 people. Our Sunday all-you-can-eat buffet serves a wide range of superb dishes which are cooked by our chefs at the buffet in front of you. Let nilgiri's cater for your event whether it be in a park, a palace, a home or a school hall so you attend to your guests whilst we do the catering. This is perfect for birthdays, anniversaries, wedding receptions and etc. visit nilgiri’s website to learn more!